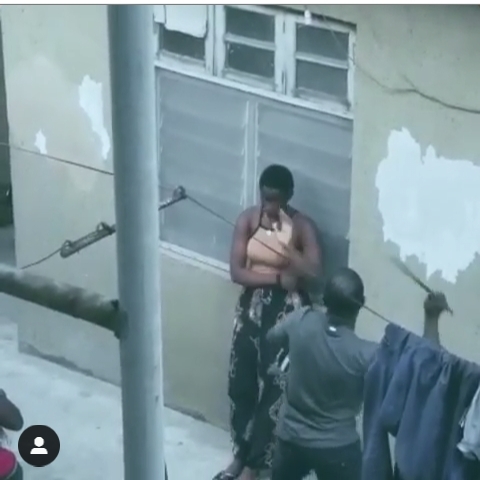 A JAMB lesson teacher turned Kung Fu master, seen assaulting a female student, today, in Surulere, Lagos. Her only problem was him constantly beating her on her head. But this teacher wouldn’t listen, saying she has no right to tell him where he should flog her on... She attends Jamb lessons their... i don’t care what she did.. No one has the right to hit a student that way.